4 beds // 3.5 baths // 2566 sq. 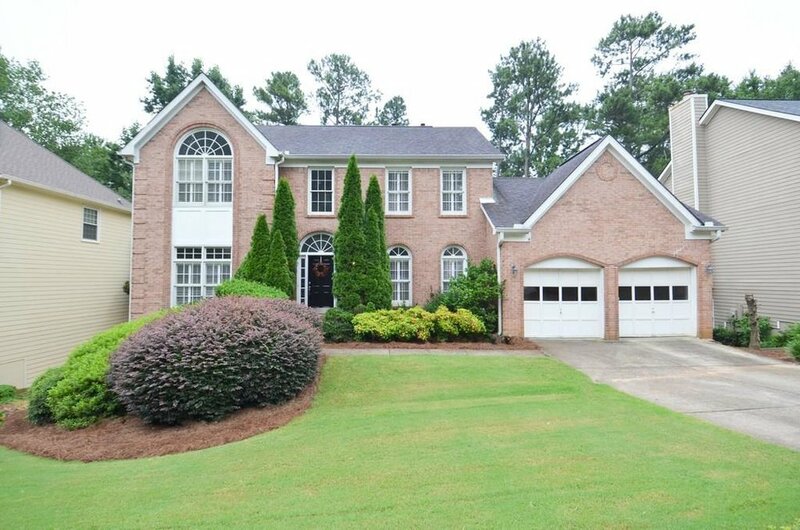 ft.
Tastefully updated brick front traditional on a full basement in phenomenal Johns Creek swim/tennis community. Hard surface flooring throughout the entire main level! The bright white kitchen boasts granite counters, a center island and overlooks the beautiful light filled fireside great room. Upstairs enjoy an oversized owner's retreat complete with a beautiful slate tiled ensuite bath. All 3 generously sized secondary bedrooms offer ample closet space! The partially finished terrace level with full bath is ready for it's new owners final touches! New paint throughout!